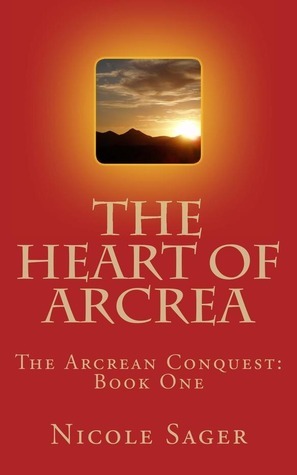 "The Heart Of Arcrea" is non-magical fantasy, which means it's like "The Lord Of The Rings" without the wizardry and associated guilt for some Christian readers. (For the record, I'm not a reader of LOTR.) The author handles the genre well, building an interesting story that could have happened, set in a place that could have existed, with circumstantial and animalian adversaries that seem plausible. - The Gospel is shared in a meaningful way that doesn't seem tacked on. - The major plotline, finding "the heart," and the subplot of finding the traitor, both maintain their questions and get to their conclusions without becoming irritating or repetitive. - The characters are diverse and interact well with each other. - Fights with man and beast are handled without excessive descriptions of blood, etc. - Further to the above, the beasts fought by Druet et al are scary enough to be taken seriously, but not too terrifying for middle school kids. Okay, maybe the ignispats are a little too scary for bedtime. And the man-eating carnatur plants. And the catawylds. But the flying dragons... well, yeah, they're a little scary too. - Speaking of catawylds, I like the names the author concocts for people and things. They range from ordinary (Alice, Nathaniel, Rodney) to distinctive (Renny, Bracy, Talon) to exotic (Mizgalia, the Brikbone Mountains) and they all sound real. Some authors go wild with syllables you can't pronounce, let alone remember. - All the romance is either whimsical or dispassionate. - Opening was a little weak, with Druet setting out on his quest suddenly and with a fuzzy rationale. Ditto for his first followers joining him. They seem to be there because the author told them to show up, and for little other reason. Story developed well from that point, though. - It's hard to see why the people are all excited about Druet before he has really done much of anything. For the first half of the book, his heroics are pretty much limited to one charitable act for one village. - Druet spends too much time on the D/L. Couldn't another character have taken a serious wound or two? - There were some typos, of the kind that spell check brings (e.g. reigns for reins). - Everything seemed to be building up to an epic battle at the end, but there wasn't one. Bummer. - Also at the end, the segue into the sequel makes the epilogue drag on further than it should. If you like knights and heroics, but you don't like blood and wizardry, you'll like "The Heart Of Arcrea." I did. Sign into Goodreads to see if any of your friends have read The Heart of Arcrea. Bravo for your stand against wizardry.